Labels: "Dill", "Garden Club", "Garden Whispers", "Janz Fine Art Studios", "Mammouth Dill", "Postage by Janz", "Stamps by Janz"
Hi, my name is Jan Fitzgerald and I Custom design U.S. Postage Stamps. All Custom Stamps are legal and can be used to mail letters and packages. Each of my Custom Stamps is copyrighted, and I use Janz as my tag name on all of my work. 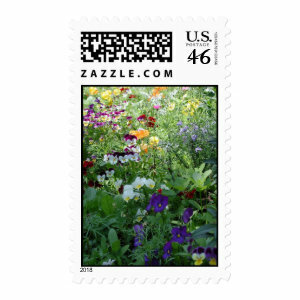 Click on the link below each Custom Stamp and you will be taken to one of my Galleries at Zazzle.com. Make sure that you have bookmarked my Stamp Collecting by Janz blog, so that you can return in the future. Each custom stamp that is purchased is made and shipped within 24 hours of your order. Complete satisfaction is 100% guanranteed and any stamps that you find not to your specifications can be returned for a replacement or a refund. Zazzle is a print on demand company that stands behind its work and its designers with a less than 1% return history. Chosen by the United States Postal Service as Custom Postage - April 2009 - June 2010 . Check the Custom Stamp Page. bridal showers, birthdays and other special events. These unique designs are a fun way to make your mailing standout from the rest.